Dozens of asylum seekers facing lock changes in Glasgow by multinational company, Serco, may in fact be entitled to Home Office accommodation and should not be at risk of eviction, according to charities. Six asylum seekers in the city have so far been issued with lock-change notices by the company, which a has a Home Office contract to provide asylum accommodation. Following widespread outcry across the city and legal challenges put forward by those served with lock-change notices, it has suspended eviction plans – which put 330 refugees at risk – for 21 days. However it is now claimed that four of the six may have been entitled to support and accommodation all along. Refugee support charity Govan Community Project, which has been offering case work support to five of the six facing lock changes, claims that most of them should be eligible for support and have the right to remain in their flats. The charity has already successfully appealed for asylum support for one person affected. It is in the process of applying for emergency asylum support – known as Section 4 – for three others, one of whom had already filed further submissions on his case, meaning his asylum appeal is ongoing. Govan Community Project, along with charities including the British Red Cross, Scottish Refugee Council and Refugee Survival Trust, now claim a significant proportion of the 330 at risk could also be eligible. Their claims are backed by their monitoring data, published by The Ferret, which show that almost 60 per cent of those denied Home Office support are actually entitled to it. He claimed that it was in the interests of Home Office, which cut a contract providing face-to-face advice in the city in 2014 and replaced it with a cheaper, centralised telephone helpline, that people were unaware of their rights. “I would say a large number of people at risk of eviction are in the same position,” he added. If the Home Office refuses a claim for refugee status, an asylum seeker is given 21 days notice that their support and accommodation will be discontinued. The Home Office says they should then leave the country but many claim they remain at risk of persecution, torture or death in their home countries. Over the last year British Red Cross, Scottish Refugee Council and Govan Community Project monitored data on 147 cases of destitute refugees, who they believed to be eligible for support. Of those, 76 applications were successful, while a further 10 were awarded support after appeal. 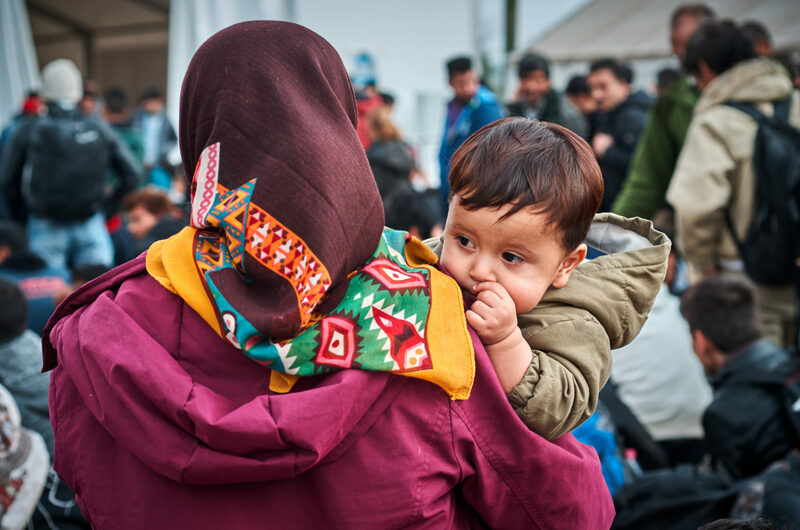 Most were granted emergency support, provided if the person is unable to leave due to medical or logistical reasons, such as a lack of a safe route to their country of origin. Refused asylum seekers can also get emergency support if they are applying for a judicial review of their case or if failure to provide accommodation would breach their human rights. The data also showed that an average wait of 37 days for a decision on granting asylum support at this stage, despite a Home Office target of five days. Scottish Refugee Council believes the data is “highly significant” and fundamentally calls into the question eviction plans. It is now hosting free, weekly law clinics to relook at the cases of all at risk of eviction. Jillian McBride, refugee operations manager at the British Red Cross, said: “In our experience, people who have come to the UK seeking protection struggle to access the support they are eligible for when they need it. Last week, the company’s chief executive Rupert Soames said he welcomed planned legal challenges to the six lock-change notices issued which he said would “clarify an area of Scottish law which has so far been untested”. He claims his organisation is in “an impossible position” and cannot continue to offer free accommodation to those without entitlement to it. A spokesman for the Home Office said it was not aware of anyone having support re-instated after a lock-change notice had been issued. However it acknowledged that a lock change notice would not prevent someone from submitted a futher application for support. A version of this story was published in the Sunday Herald on 12 August 2018.